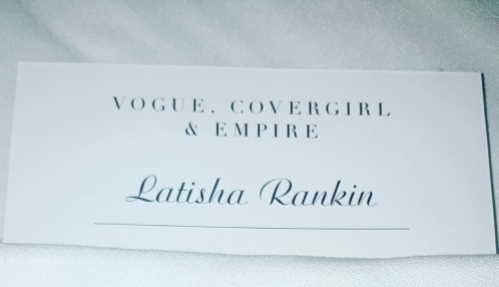 Monday night I received the honor of attending a private dinner for Vogue Magazine: currently partnering with Covergirl to create a very special line for some of the lovely ladies from FOX TV show Empire. This very intimate event was held at Omar’s located on West 9th in the lower westside. Special guest and honorees were: Serayah, Gabby Sidibe, Kaitlin Doubleday and the fabulous Miss Lawrence. Its classic cocktail hour serving nothing but the best bubbly along with delectable bite-size hors d’oeuvres made the wait for dinner even more worth it. The intimate setting with its dim lighting and elongated table created time to kick-start conversation with everyone in the room. While in the presence of so many weighty people I felt seasoned. Overall this night was a great success.